In our second blog exploring creativity within the criminal justice system, we focus on Stretch. Stretch delivers art projects to some of the most vulnerable people who have been marginalised by society, working to make their voices heard in order to dispel stereotypes and bring about positive change. Through a variety of innovative, bespoke, creative projects, Stretch enhances the rehabilitation and education of these marginalised communities, facilitating the development of confidence and other important life skills. 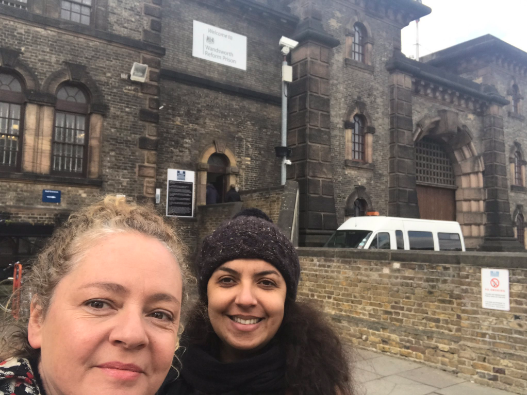 We spoke to Carlotta Allum, founder of Stretch, about her organisation and the importance of creativity and the arts for individuals in the criminal justice system. I started Stretch 14 years ago, bringing together my drive to help criminal justice communities and my love of museums, galleries and the arts. I could not get the jobs I wanted because of my serious criminal record, I experienced the prejudice first hand and it drove me to explore the treatment of prisoners. I was sick of having to justify myself to employees and invented a job for myself, something a lot of former prisoners do. It has grown from project-to-project; taking prisoners to museums and galleries, projects with artists, partnerships with the V&A and big city museum services. By accident I attended a digital storytelling conference run by evangelical storytellers from California and it changed my practice - I decided this would be a great tool for prisoners and vulnerable people to be given confidence to talk about their story and bring in all sorts of art forms. I have been on a creative journey myself, learning how to use my experience positively and bring out the best in my practice. I understand that Stretch aims to facilitate change through creative projects. What sort of change do you hope to bring about for the individuals with whom you work? Creativity and arts projects are a different way to access education and open up self-awareness and confidence. A lot of people in criminal justice do not have the confidence to access any cultural activity. Prison is often the first time people have had a chance to stop, think, experiment with education and reflect. I don't over claim, obviously there are a million factors that can change people or effect desistance, but a chance to see yourself as something 'other' than prisoner is very important to me and Stretch. Soft skills, such as interpersonal skills, communication skills, responsibility, commitment and team work, are becoming increasingly important within the workplace. Do the arts projects that you run facilitate the development of these skills? What life skills do individuals build as a result of the work that you do with them? There is a lot of research and hard and soft evidence about the worth of the skills you mention. 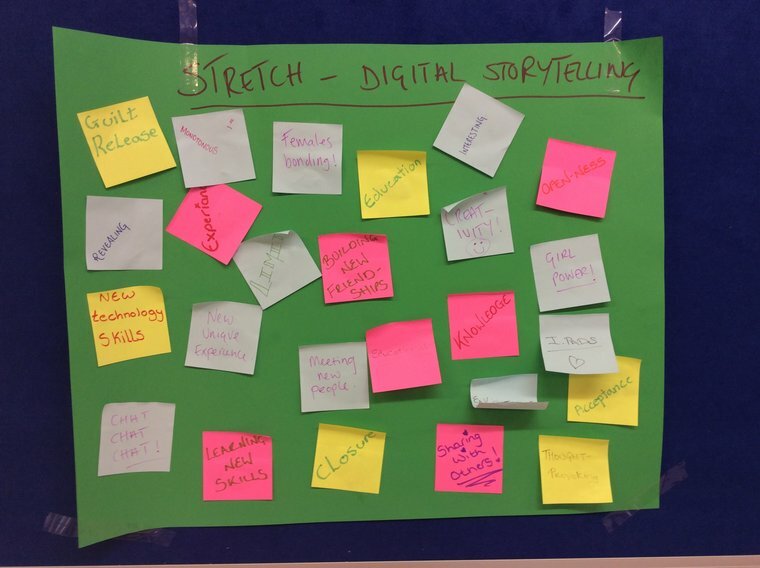 At the moment with Stretch Digital the skills are two-pronged, with the softer life-skills coming from the storytelling and the digital literacy skills from the iPads and tech training. Through Stretch Digital, you aim to bridge the ever-growing digital divide by equipping prisoners with skills in new media. Is increasing an individual's employability an important aspect of the work that you do at Stretch? I am particularly interested personally in entrepreneurship in prisoners, as I consider myself a social entrepreneur and my drive comes from my own experience and the prejudice and lack of equality I see around me. So yes, employability plays a key role, but more than that is giving people the confidence and tools to do things for themselves. These days you cannot set up hairdressing business or mobile car mechanic without having an online presence, filling in PDF's, making posters and flyers etc., basic digital skills. 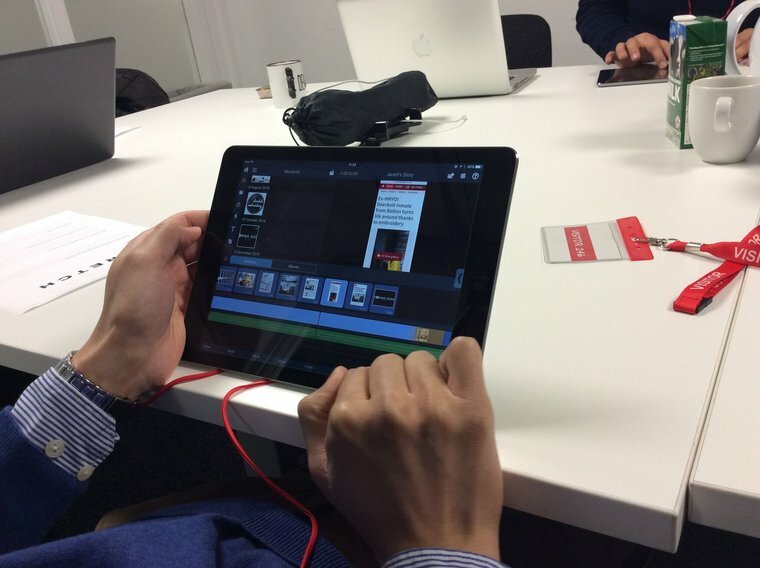 I have been working with Central Saint Martins and HMP Thameside to deliver basic media skills, an essential life tool these days and something we often take for granted. Prisons are left in a digital dark age. Why do you think the arts are so important to the rehabilitation of communities who are marginalised, particularly people who are or have been in prison? I think it's safe to say after the Coates Review and recent white papers that it is finally 'official' about the role the arts play. If we didn't have to spend so much time defending our position then we could spend more time actually delivering it. Arts are important to every one - equality of access is key - not just former prisoners. Art is a way of coming to terms with the world and your place in it. This is needed now more than ever. What role do creativity and the arts have in reducing reoffending? It's all been said - research papers, hard and soft evidence. It annoys me that the prisons with whom I have to fight for contracts have to try and qualify arts projects with 'reducing reoffending'. For me, it's not about reducing 'reoffending'. I know plenty of artists who are offending all the time, desistance from crime is far too complex an issue. It's about rehabilitation, it's about education, it's about creative thinking giving people confidence and building character traits to help people in their chaotic and difficult lives, and very occasionally unearthing a real talent in someone that could help them earn a living and lead a different life. To see more of the films made as a result of Stretch Digital, click here.